If I converted this to black and white, I bet it would feel like this shot was taken a long time ago. Because it looks like nothing has changed on this toilet since the 1930s. 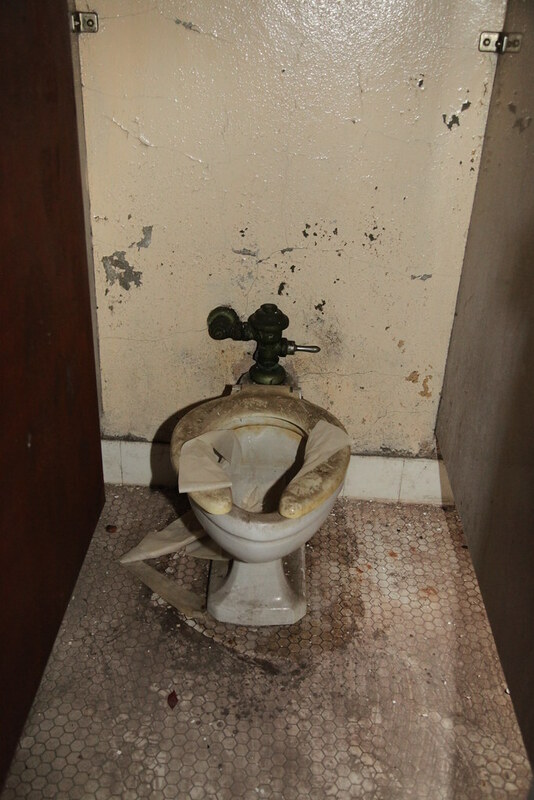 An interesting point of note, some observant viewers might notice that the flush valve closely resembles a typical "flushometer" valve still seen in use today. Indeed, William Elvis Sloan of the Sloan Valve Company invented the "Royal Flushometer" in 1910 and the basic design has not changed much.